The P&O Azura has been delayed by more than 24 hours due to an electrical issue which has been looked at by engineers. 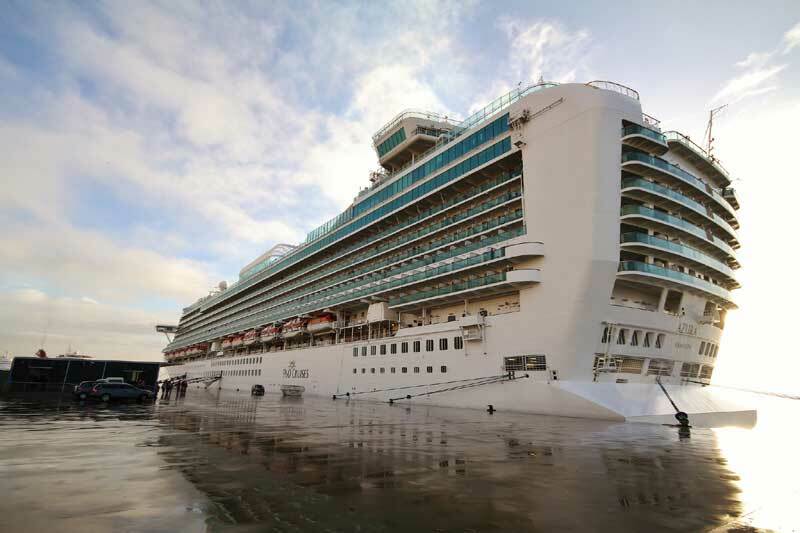 The cruise line has been forced to change the ship’s arrival into Southampton. P&O Cruises has been keeping everyone updated on its Facebook page as the delay also affects passengers scheduled to board for the next cruise. As a result of the electrical problem the port of Stavanger on May 6th was cancelled and instead the large vessel stayed in the Flam, Norway so a specialised team could investigate the issue. The ship then spent an overnight (May 6th – 7th) in Bergan so the problem could be fixed and tested. The next voyage which was originally supposed to be a 14 night Mediterranean cruise has now been adjusted to a shorter itinerary where the calls of Cadiz and Naples have been removed. the new itinerary is: Sunday May 10 – Southampton – sail at 1500, Monday May 11 – at sea, Tuesday May 12 – at sea, Wednesday May 13 – at sea, Thursday May 14 – Barcelona 0800 – 1700, Friday May 15 – Monte Carlo 0800 – 1800, Saturday May 16 – Civitavecchia (for tours to Rome) 0700 – 1900, Sunday May 17 – Cagliari, Sardinia 0900 – 1700, Monday May 18 – at sea, Tuesday May 19 – Gibraltar 0800 – 1300, Wednesday May 20 – at sea, Thursday May 21 – at sea and Friday May 22 – Southampton. Guests already booked for shore excursions in Cadiz and Naples are to receive a full refund and those booked with changed dates will go ahead as normal. P&O hasn’t posted any details on passenger compensation for the next cruise but according to comments it’s no more than 15% refund of the price of the cruise. Those passengers on the current cruise have received a 100 pound credit for onboard. P&O Azura is one of the british cruise lines largest vessels at 115,000 gross tons and carrying over 3,000 passengers.